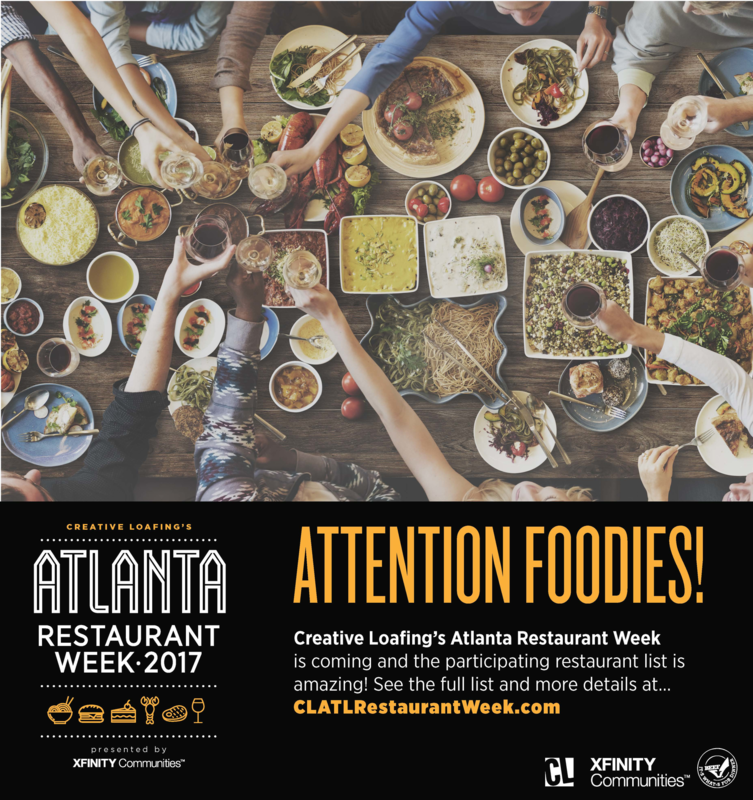 Put away the leftovers and prepare your tastebuds for Creative Loafing's inaugural Atlanta Restaurant Week, an enticing new tradition that grants our readers access to local eats at a happy discount. From this Sun., March 26 to Sat., April 1, gorge on prix fixe menus at over 20 restaurants around the city. Each multi-course lunch or dinner menu, priced at $35 per person or $35 per couple, depending on the eatery, has something for food scene veterans and picky eaters alike. Celebrity chef Art Smith’s Southern Art & Bourbon Bar caters to Cajun cravings (and Pixar fans) with Southern-style ratatouille and blackened trout. Midtown’s Mediterranean Grill keeps it light with a three-course menu of coastal staples including homemade spanakopita, braised lamb shank and walnut baklava. Patrons have seven days to indulge in a food journey that will take them around the world of flavor profiles from the comfort of good ol’ ATL. Head east with EATaliano Kitchen’s veal marsala and tiramisu or further south with La Hacienda’s fresh guacamole and enchiladas. Try Korean cuisine at East Atlanta’s Gaja, featuring bibimbap and beef bulgogi ssam or keep it down home with Bone Lick BBQ’s pork rind nachos and bread pudding. See the full list of participating restaurants and what they’ve got to offer here. But that’s not all. Diners can also enter to win free goodies by sharing pit stops on Instagram or Facebook with the hashtag #CLATLRW. Each restaurant visit using the tag counts as a new entry, and prizes include Hawks tickets, Atlanta United tickets, and even a fancy KUDU Grill courtesy of the Georgia Beef Board. So grab your fellow foodies, loosen your waistbands, and come eat your way through the A with us. March 26 - April 1. www.clatlrestaurantweek.com.